Recently, one of the Democrats running for governor accused Chicago’s mayor of leading a “strategic gentrification plan” aimed at forcing African-Americans and other minorities out of Chicago to make the city “whiter” and wealthier. Whether this is true or not, we have seen a definite decline in the population of blacks in the city of Chicago as compared to other races. Federal census figures show that in 2010, Chicago’s African-American population totaled 895,294, or 33.2 percent of the total population. Census data released last year showed the number of black residents had declined to 793,852, representing about 29.3 percent of the city’s population. This continued a long-term decline in African-American population, as Chicago also lost 177,404 black residents between 2000 and 2010, according to census figures. During this same time, we have seen the rate of African-American home ownership plummeting and unemployment percentages of African Americans remain in the double digits. Poor housing, sub-par educational systems and poor infrastructure in black communities are some of the root causes for the decline of the black population in Chicago. When there is an abundance of vacant property in a neighborhood, property values drop and people move out, and the residents who remain bear a burden that usually leads to a greater reduction of population, a lack of commercial development and a loss of vibrant communities. We must also look at the lack of access to credit as a major cause of lack of home ownership and unemployment in black communities. A $1.3 million study looking at 80,000 people undertaken by Freddie Mac revealed some surprising differences in credit scores between African-Americans and whites. The study compared the credit scores of members of each ethnic group, showing that whites earning less than $25,000 per year were likely to have better credit scores than African-Americans earning between $65,000 and $75,000 per year. Overall, the study found 27 percent of all credit reports belonging to whites were bad, compared to 48 percent of those belonging to African Americans. Only 28 percent of Hispanics were found to have bad credit. Researchers assigned a rating of bad to anyone who had two bills past due by more than 30 days in the past two years, a single bill past due by 90 days or more, a judgment against them, a lien against them or a bankruptcy. For those interested in applying for an FHA loan, applicants are now required to have a minimum FICO score of 580 to qualify for the low down-payment advantage. If your credit score is below 580, however, you aren’t necessarily excluded from FHA loan eligibility. Blacks must take advantage of first-time home buyer grants to make home ownership more affordable. Sometimes, large banks also have policies that decrease opportunities for obtaining credit. In 2017, JPMorgan Chase & Co. agreed to pay $55 million to settle a U.S. Justice Department lawsuit accusing it of discriminating against minority borrowers by allowing mortgage brokers to charge them more for home loans. The U.S. Justice Department complaint accused the bank of willfully violating the U.S. Fair Housing Act and the Equal Credit Opportunity Act between 2006 and 2009 and showing “reckless disregard” for the rights of at least 53,000 African-American and Hispanic borrowers. In 2017, I teamed up with Universal Housing Solutions CDC and Dearborn Realtist Board Inc., a group formed in Chicago in 1941 by African-American real estate professionals, to address the disproportionate and unfair lending practices that block fair access to home ownership for black families. We must continue to work to bring discrimination in lending practices into the light of day and make the process fairer. If blacks want to own their own home or business in the city of Chicago and if we want to increase the black population in Chicago, access to credit is a big factor in the equation. It is also important that blacks in Chicago have more opportunities to state, city and county contracts to strengthen black small businesses, which will create more good jobs and improve the ability of more blacks to become and remain home owners and business owners in Chicago. In December, I introduced House Bill 211 and continue to work on an appropriation for $250 million from the General Revenue Fund to the Illinois Housing Development Authority for grants to municipalities with a population over 1,000,000 for the rehabilitation of vacant and abandoned residential housing. This is the type of investment that would help to keep blacks in the city of Chicago. Let’s continue the fight to improve access to credit and opportunities if we want to increase the number of black home owners and businesses and stabilize the black population in Chicago. 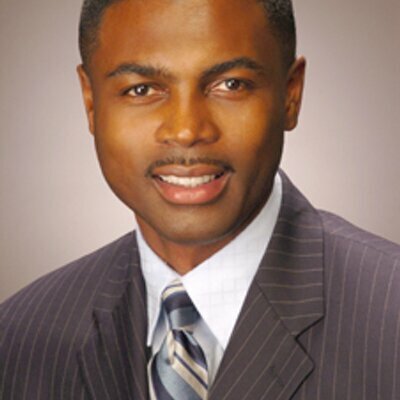 State Rep. La Shawn K. Ford represents Austin in the Illinois House. The number of unmaintained foreclosed properties continues to be a problem on the West Side - and throughout the city, according to a new report by the Woodstock Institute. Youth Guidance provides social and emotional school-based programs that help at-risk Chicago children.